Work has a fundamental meaning for people, and from both the perspective of the individual, and that of entire societies. In the yet broader perspective work is the source of wealth for entire countries. In the narrower perspective work is the source for maintaining households, but it also fills up a significant portion of the individual’s life, and yet in so doing it also creates a space for other undertakings and for relaxation. Hence, the matter of working time holds very basic meaning from many perspectives. Working time – and thus its length, the time period when it is carried out, and the effectiveness with which it performed – has many determinants. What plays the most surpassing role here is the character of production processes. What, how, and for whom we produce has basic meaning for the way work and working time are organized. Also important is the situation of the labour market (i.e., the level of unemployment), the character of social dialogue, and in particular the role of labour unions and the policy of the state regulator, as that player wields greater or lesser influence on working time, especially by means of labour law. In recent years all of these parameters in developed countries have undergone intensive change. This was particularly visible in the sphere of production work, where the following phenomenon appeared on a significant scale: globalization and migration, the expansion of small and mid-sized companies, and servisization. We also witnessed the rapid development of the knowledge-based economy (which concerns the emergence of new, revolutionary technologies) at the same time as we observed the spreading of the economy’s “grey area”. On the other hand, the recent economic crises have lent to high unemploy-ment and concomitantly the position of labour unions in collective negotiations have weakened. Moreover, the state began to withdraw from the task of shoring up the labour market in response to high unemployment. One result of this is rising economic uncertainty, which has compelled em-ployers to adopt great flexibility vis-à-vis the demands of the market. Those very employers, in turn, have attempted to pass the hot-potato of uncertainty to their employees, demanding greater flexibility of them, also – including in the matter of working time. In the place of traditional, open-ended work contracts, what began to predominate are short-term contracts for less than full-time employment in the form of civil law agreements or self-employment. It became taken for granted that employees are at one’s beck and call – even during unusual hours, in varying rhythms, and at home. This indeed facilitated the adaption of companies to the varying demands of their environment, but for employees it entailed a range of problems, ones having not only an individual scope, but also an impact on society. Indeed, this set of circumstances gave rise to a new social group – the precariat. These are people living in conditions of permanent uncertainty, something which entails far-reaching consequences for their incomes, family status, number of children, access to credit (which translates into household conditions), and retirement prospects. These problems are especially difficult for discriminated social groups, above all women. Of course, there are also those primarily young people having a strong posi-tion on the market, for whom employment is not the most important value in life (generation Y), and who are content to be in a situation of often having to change jobs or work flexible hours. In this setting, questions about the role of the state in this realm have become urgent. Should the state actively regulate working time by means of carefully devised solutions in the field of labour law, or should it accept the decentralization of decisions concerning such matters, leaving them to the level of the given industry, where social dialogue and the market position of parties will settle them? Understanding these issues and proposing to the state regulator befitting solutions requires comprehension of the existing solutions in the realm of working time in leading countries of the European Union, in countries having in their past a period a transformation to market economies, and in important non-European countries. What is also important here is expert reflection concerning future prospects: how will the processes we have no influence on unfold? – and how should governments, trade unions, and employers act in regard to those processes? In other words, an attempt must be made to describe our ever so complex reality in the realm of working time, and to chart the directions in which we intend to head. This book offers an attempt to square off, albeit in a modest scope, with pre-cisely these tasks. It is made up of four parts. 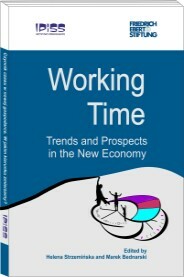 In the first our authors highlight the problems pertaining to working time in Europe and North America, especially from an economic perspective, and then endeavour to gaze into the future. In the second part the authors weigh the social consequences of changes to working time – their influence on work-life balance, the situation of women, and questions connected with equality and social security. The third part has a legal character. Here the authors address how labour law should respond to the new challenges associated with the increasing flexibility of working time. The fourth part is devoted to matters unique for Poland, ones that should be of real interest to the body of researchers examining the multifaceted issues of the transformation. 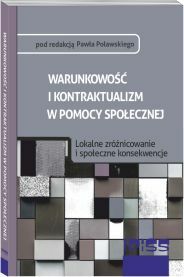 The inspiration to create this volume came from the international conference “The Factor of Time in the New Economy: Where Are We Heading?”, which was held in Warsaw on October 18, 2013 within the scope of the research project of the same name, which was financed by the National Science Center and carried out at the Instytut Pracy i Spraw Socjalnych [Institute of Labour and Social Studies], directed by Professor Helena Strzemińska. This work arose thanks to the efforts of the Friedrich Ebert Foundation and the Institute of Labour and Social Studies. Its editors extend their warm gratitude to the directorships of those two institutions. But above all we wish to thank our authors for agreeing to take up the time-consuming task of drafting the papers we are so proud to present. It is our fervent hope that our efforts will prove a useful contribution to the discussion on working time during this difficult moment of the new economy’s birth. Flexible Working Time – an Opportunity or a Threat to the Work-Life Balance? WORKING TIME AND THE CHALLENGES OF THE FUTURE: WHERE ARE WE HEADING?